Research shows that there are almost 800,000 franchise establishments in the U.S. Franchises provide exciting entrepreneurial opportunities, but also comes with certain difficulties. For example, it is notoriously difficult to manage multiple franchise locations. Keep reading to learn three ways to successfully manage several franchise locations at the same time. Multiple franchise locations will mean having to deal with different supervisors, employees and contractors. Therefore, communication must be in-sync and standardized across the board. For example, use email for mass communication and documentation, but the phone for certain areas, such as sales, repairs and customer service. Since there will be multiple, simultaneous projects going on in different locations, managers should utilize simple technology solutions, such as an Excel spreadsheet, to track and complete tasks. Otherwise, following up with various project updates will be confusing. Be sure to have a main office that has centralized and organized information and documentation. Finally, keep in touch with different locations through regularly scheduled meetings and inspections. This will eliminate potential operational and quality control problems. While there will be standard franchise training materials and procedures, be sure to use your own customized approach that takes advantage of experiential knowledge. For example, be sure to provide opportunities to transfer knowledge between experienced employees and new hires. Better yet, collect and organize the training information into internal standard operating procedures. Although it is difficult and costly to schedule an all-inclusive meeting, be sure to have at least quarterly meetings with all employees. This will provide important bonding and training opportunities. However, training can’t just occur at quarterly meetings or at the time of hire. Continual training should include personalized employee development plans that empower employees to learn new skills. This will also motivate them to increase their business competency so they can obtain a promotion. According to Entrepreneur magazine, multi-unit franchises are becoming the new norm. 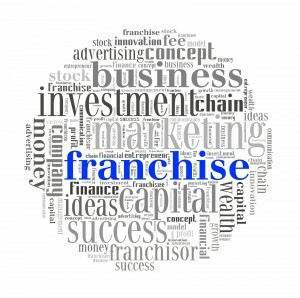 Therefore, franchisees should do their homework and confirm that the franchise organization offers discounts and accommodations to multiple-unit franchises. However, since most franchisors don’t cater to multi-unit franchises, the franchisee should seek support from fellow multi-unit owners in order to gain valuable advice and help. Keep in mind that franchisors like the idea of dealing with an owner who only has one or two franchises. Someone who has many units becomes more powerful and competitive. As a result, franchise owners of multiple units should secure mentorship and reach out to other owners. Don’t forget the events and conferences are exclusive networking opportunities. To sum up, managing multiple franchises is difficult because of the potential for work overload and miscommunications. However, it can be successfully accomplished through streamlining operations, training employees and seeking support.